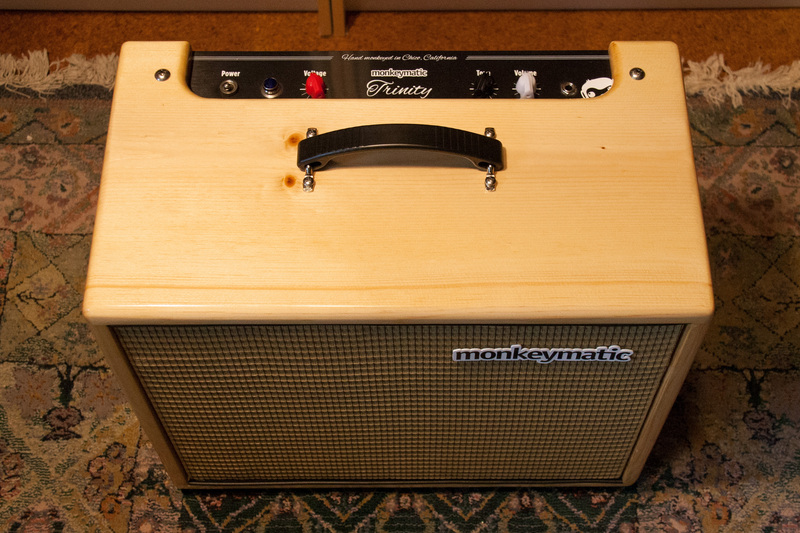 The Monkeymatic Trinity is a hand crafted, tweed style combo in a solid pine cabinet, with two 12AX7s and a pair of cathode-biased 6L6 power tubes pushing 15 watts into a 12″ Jensen Nighthawk speaker. Variable voltage power scaling makes this an excellent recording, stage, and “bedroom” amp for playing higher gain styles at lower SPL. A wide variety of tones are available at any volume, from 15 watts of clean power, down to less than one watt at the lowest voltage setting. This allows the Volume control to be set wide open to get extreme and exciting sounds at bedroom levels. 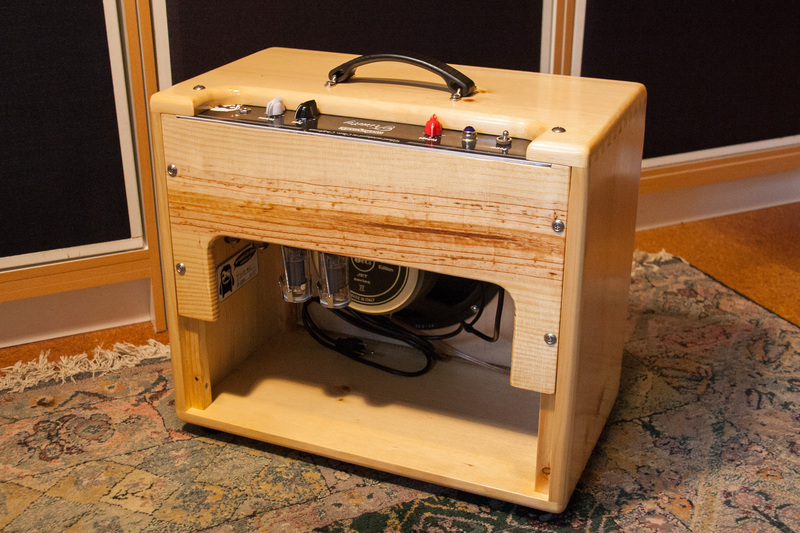 Trinity is an evolved Tweed Deluxe (5E3) style amp, with the two channels internally bridged. 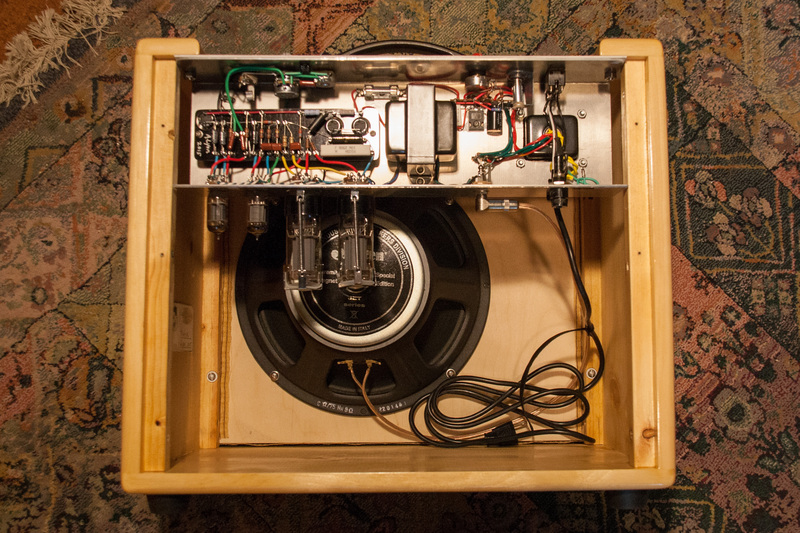 A single, dual-ganged volume control replaces the two of the Deluxe. 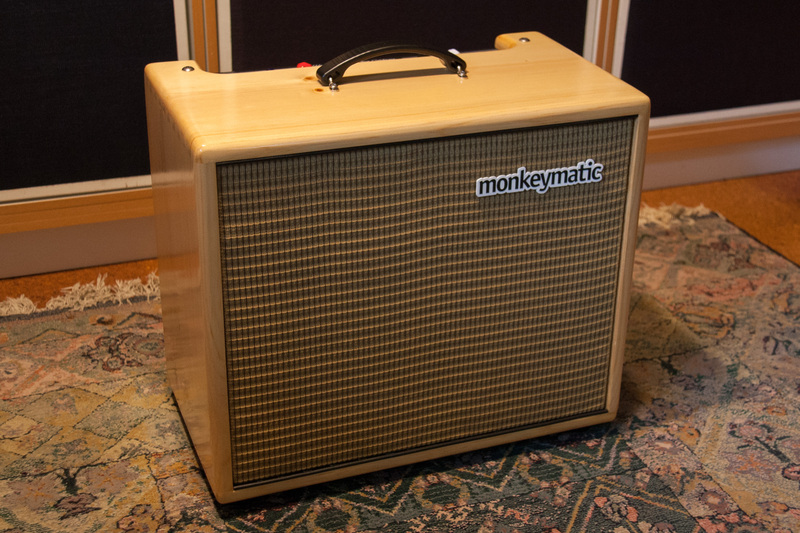 At full voltage, the amp breaks up quickly with the volume above 9 o’clock, and is extremely responsive to variations in volume from the guitar. 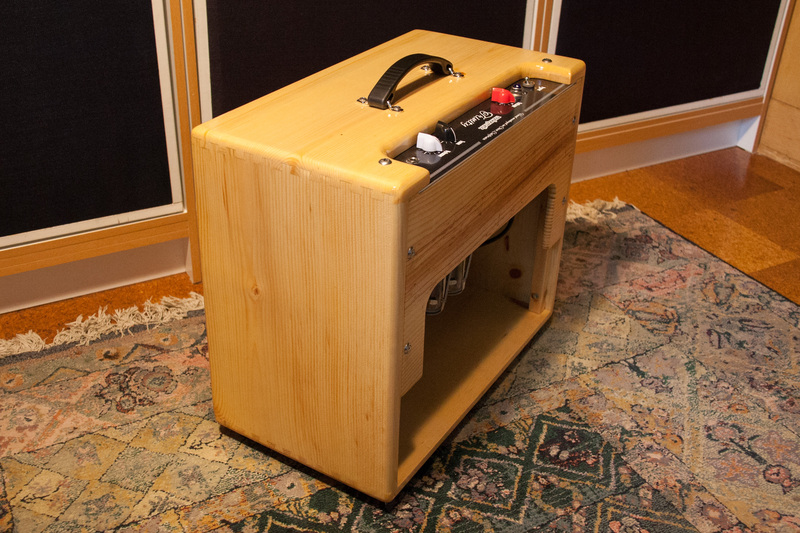 The half-blind dovetailed, solid pine cabinet resonates nicely, adding character and thump to the voice of the amp. 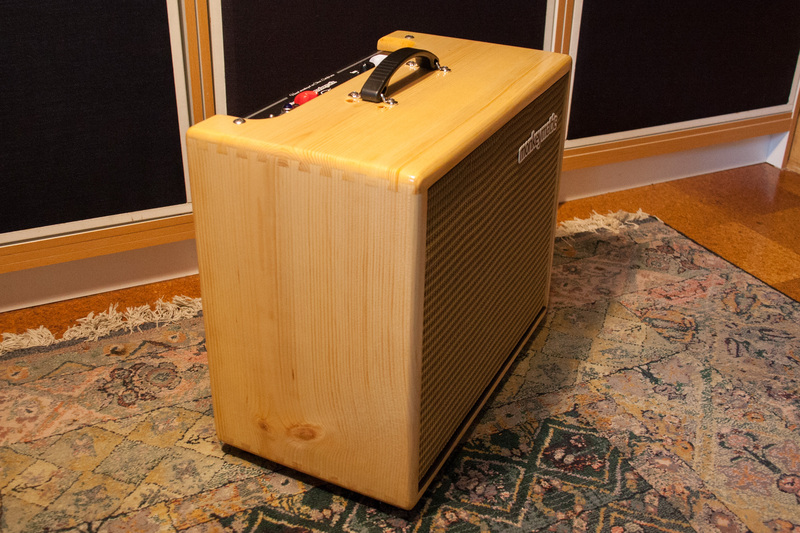 And the sweet sounding Jensen Nighthawk performs well at low and high volumes. 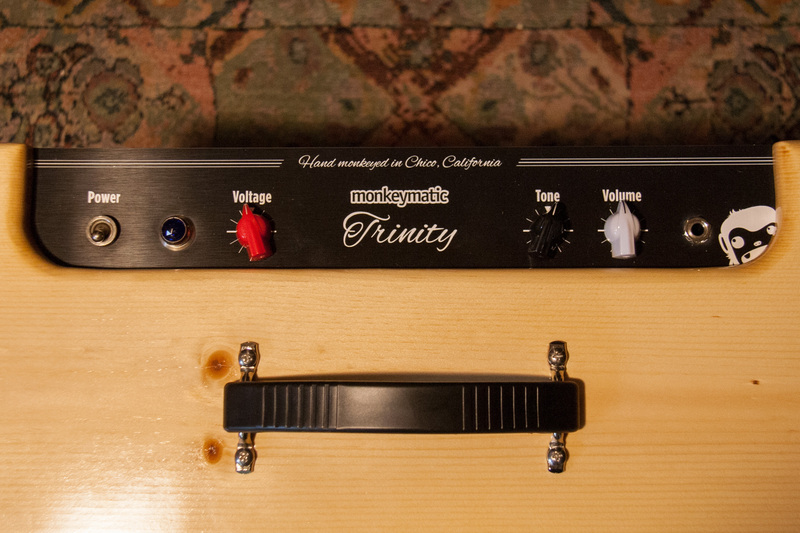 Trinity #2 features a new Fender Hot Rod Deluxe power transformer, a new Fender Vibrolux output transformer, Sovtek 12AX7s, Saratov 6L6s, hand-built turret board, chassis, and cabinet. 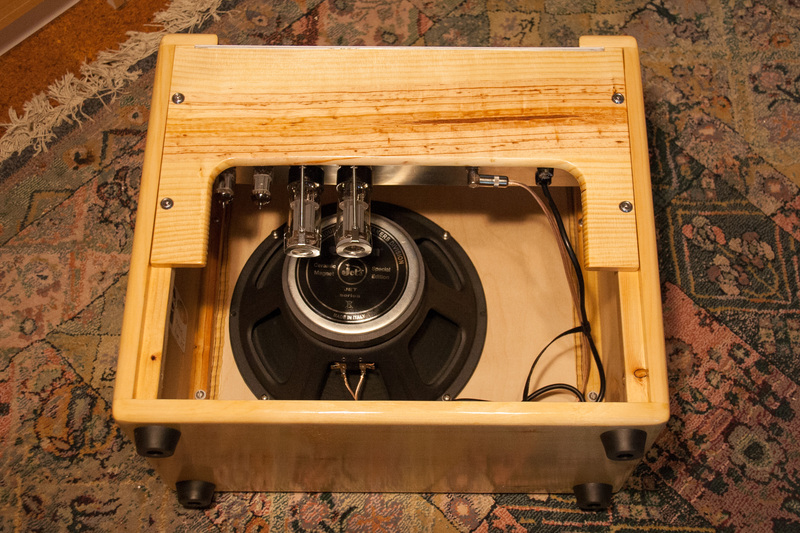 Dimensions: 20w x 17h x 11d inches, 31 pounds. 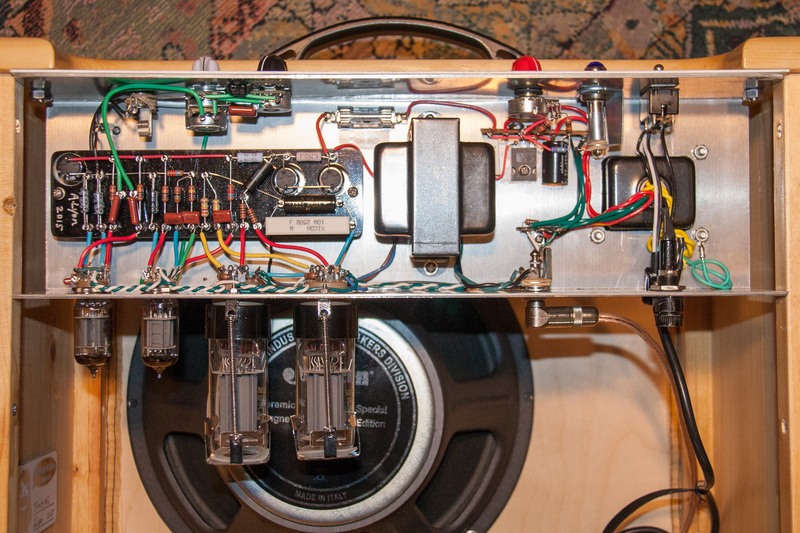 See For Sale page for available amplifiers.